When I heard that Gene Wilder passed away a week ago Sunday, I was saddened to know that a small piece of my childhood had faded away like the edges of a watercolor painting. Goodbye, Willy Wonka. Laid to rest are the magical, mythical qualities that made Gene Wilder the wonderful actor he was. I also felt that I had missed an opportunity. It’s my own fault for not acting upon it, but I made the common error of believing I had all the time in the world. Allow me to explain. Two years ago, I read Mr. Wilder’s novel, My French Whore. It’s a beautiful, bittersweet tale of love and loss set during World War I. I often wondered about the loss portion of the story. Did it mirror Mr. Wilder’s own loss in life, specifically that of his wife, Gilda Radner? In the story, it’s the male protagonist who is lost. Maybe Mr. Wilder would rather it had been him so that Gilda could have gone on living. He had a wonderful, twenty five year marriage to his wife, Karen, so perhaps I’m reading too much into the tale. All this to say that I wanted to contact Mr. Wilder and ask him to write a sequel, one in which the two main characters find each other again. It would be possible based on the nature of the tale. Mr. Wilder was creative and imaginative: he could have rescued the protagonists from the fire and made it believable. But I missed my chance, and now it’s too late. I’m familiar with many of the arguments writers offer for ending their stories on a sad note or sometimes with a gut punch to the reader. As long as the story is well-written, the event is believable and not just for shock value, and it fits with the rest of the story, character arcs, etc., then I can accept a sad ending. There are some, however, that have left me reeling. For instance, The Time Traveler’s Wife. I read it once, and once was enough. The novel still haunts me to this day. I went so far as to pen a letter to Audrey Niffenegger begging her to write a sequel that pulls the lives of her protagonists back from the black and bitter ending she gave them. After the torturous lives they led, why did she have to end her novel the way she did? As an author creating people and situations, she could have opted for a better ending if not a Pollyanna one. Then there is The Mercy of Thin Air by Ronlyn Domingue, The Girl in the Green Glass Mirror by Elizabeth McGregor, and The Piano Tuner by Daniel Mason. These books live in a locked chest in my house because that is the only way I can contain my emotions regarding them so great are the effects they had on me. If you think I’m exaggerating, after my mother read The Piano Tuner at my suggestion, she called to chew me out for not warning her. To this day she describes her experience with the ending as having the air knocked out of her lungs. These books are so well written and so heartrending. Why do we do this to ourselves as readers? The question made me re-examine my own novel, The Secrets of Dr. John Welles. Did I infuse painful accounts into the storyline that will make a reader sit stunned long after the last page has been read? Will I leave him/her with feeling as if he/she just buried a good friend for whom he/she will mourn all the while knowing it’s a fictional character? Personally, I question whether the loss of the character was counterbalanced by the fact that they led a good long life on the pages of the novel. If so, it’s easier to let them go. In the world of Dr. John Welles, where I have complete control, some would argue that if I leave readers feeling as if they’ve had their heart torn out, then I’ve done a good job of writing. I’m not so sure I would agree. Others would say that’s just how life is: people live and die, get over it. I must admit that I don’t have the answers to the questions I’ve posed regarding the handling of characters’ lives and the endings of novels. I also know I’m not the only person who feels this way, and in this small fact, I take some comfort. Without giving away the ending to my novel, I believe I have done a good job of dealing with characters and events. However, if one day I receive a letter from a reader who praises my writing while begging for a remedy to their grief and pain, I will seriously consider what I can do to ease the situation. « Who is in Your Details? I almost started to cry Heather …Mr. Wilder I miss, books I have read and getting upset over the ending …. and a little tear over my longlost Pollyanna even LOL Long time agoe I loved her ….. . I understand your feelings !!!! I know, Rosita! Many people have expressed the same sentiment to me over Gene Wilder. We’ll all have to make new memories with characters we love. Great article. 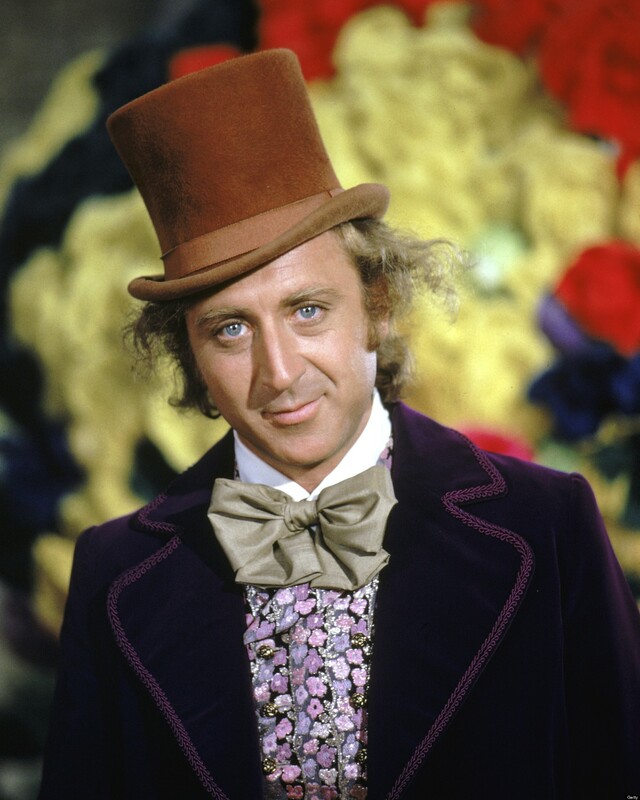 I think we will all miss “Willie Wonka”.